for the watch store is similar to a racing box. In the middle of the design is Vantage - a Aston Martin car. 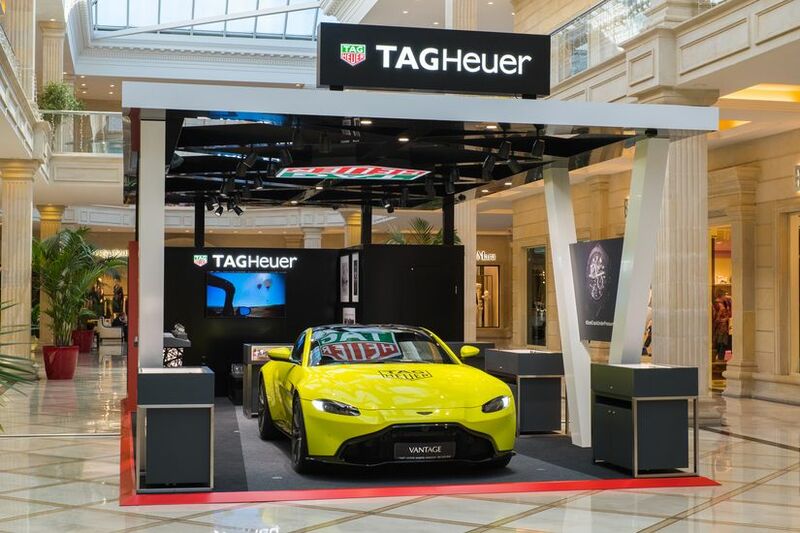 In addition, the TAG Heuer boutique presents exclusive accessories and models of watches.